Btm Layout 2nd Stage, Bangalore, India- 560076. I am having 9+ years of Salesforce experience. I have involved in around 10 Salesforce implementations which includes end to end implementation projects, maintenance projects, support projects and products which are hosted in App exchange. Handled 55 batches which includes both Administration, Development & Salesforce lightning. I have 4+ Years of Teaching Experience. "Excellent training and one of the best trainer I have seen having strong technical knowledge.He will cover all possible real-time examples of lightning. Srinivas is very kind and clarifies all your questions during the session time and even after completing the course. " "Very good trainer. He will make sure everyone on the same page during every session. Very flexible. Always gives useful information to students and posts any job related articles he come across. My personal experience, I paid for my training but In 2016 and was not able to finish the training. Recently I saw one email from Srini regarding training and contacted him if I can join. Without any other question he responded that he will add me in the training. Thank You Srini. " "Best online trainer for salesforce. 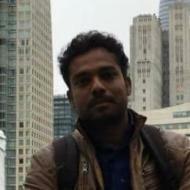 I can suggest srinivas for those who are interested to learn Salesforce technology. " "Srinu sfdc Salesforce online training is the one of the best online training institute. I started to learn salesforce in srinu sfdc. Srinivas will help you and guide you to do certification and suggest you in interview . I recommend you to join srinu sfdc. " Salesforce is high in demand and booming as a career growth. It is also anticipated that the Analytics and Cloud computing market is expecting a huge boom by 2020. It has huge exposure because salesforce is not just a tool it is developed on a platform. JAVA With Salesforce combination requirements having more demand. 4+ Years of Teaching Experience. Srinivas S describes himself as Salesforce Certified Trainer. He conducts classes in Salesforce Administrator, Salesforce Certification and Salesforce Consultant. Srinivas is located in Btm Layout 2nd Stage, Bangalore. Srinivas takes Regular Classes- at his Home and Online Classes- via online medium. He has 9 years of teaching experience . Srinivas has completed Bachelor of Technology (B.Tech.) from JNTU in 2008. He is well versed in Telugu and English. Srinivas has got 10 reviews till now with 100% positive feedback.